Here we can go wild because the choice is fabulous. If you've visited the Nursery throughout the seasons you should have colour throughout though its not always easy to discipline yourself to buy unattractive pots against beautiful May blooms on a sunny day with a view to how glorious they will look in late summer. 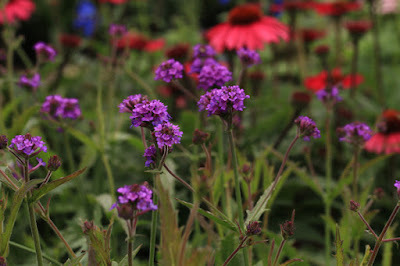 These are just some of the perennials on our looking good beds now. 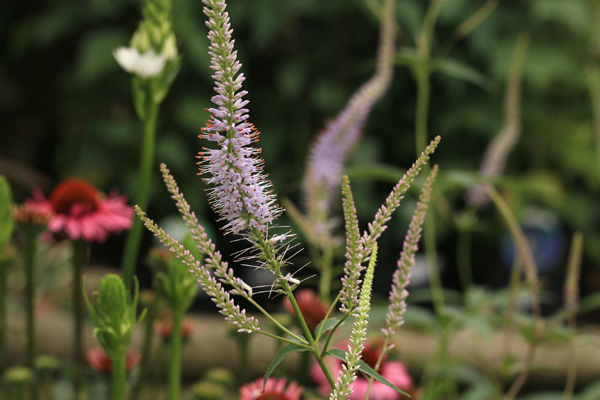 Mid summer onwards we have a lots of tall perennials flowering like spikes or candles at the back of the border. Many of perennials in the asteraceae family, the daisy group make a wonderful show of colour now such as the echinacea, leucanthemum daisys, asters, helleniums (below), achillia (pictured above) and rudbeckia to name a few. A reliable old favourite a daisy in a rich coppery colour. This flowers into autumn. We also have butterfly 'Julia' a glorious orange. 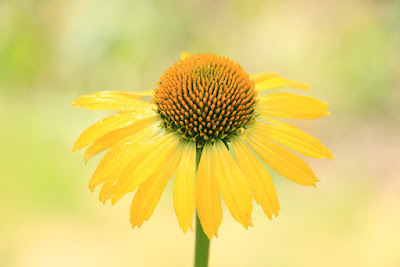 Echinacea are simply stunning perennials in the daisy family. Loved by all and lost by many! 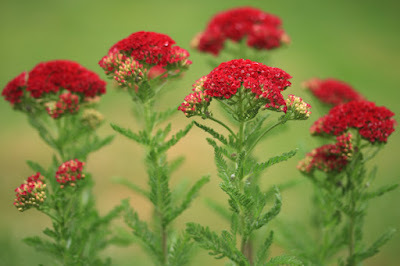 They are a prairie plant used to extreme hard winter so cold does not damage them. I have heard two schools of thought. Rosy Hardy suggested them do not like to be crouded by other perennials so give them space to breath. A second suggestion is a dislike of our winter wet. We often have mild wet winters rather long dormant periods of extreme cold in their country of origin. Plant these in an open space with plenty of grit. Often over look is the verconicastrum. A tall plant at 1m or a little more but packed with nectar for the bees and flowering from now right into Autumn.Trim back to the next set of buds when the first flowers fade to continue flowering. 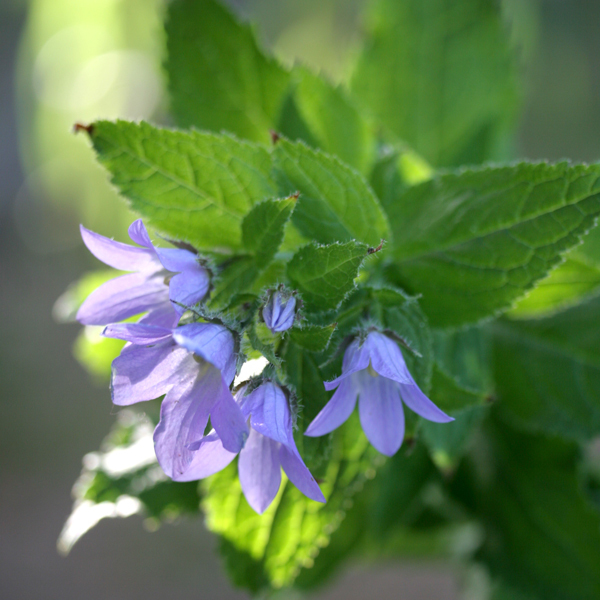 Plant in sun or partial shade. 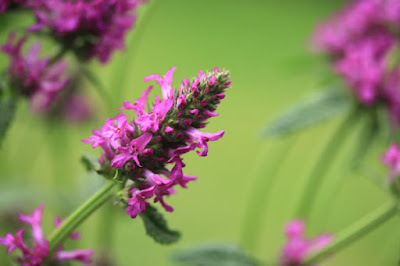 Denser flowering than as its counter part bonariensis means this rich purple verbena can create a bold impact at a lower height of about 60cm not 1.5m. A sun loving perennial. 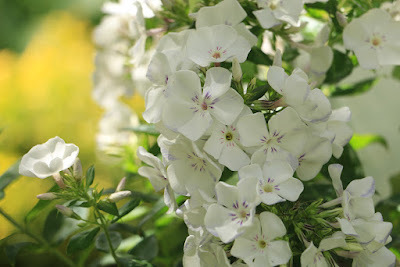 Most late flowering perennials do not get the appreciation they deserve because they are not flowering peak season in May when nurseries are heaving with enthusiastic gardeners who have a tendency to choose plants in flower. I am pointing no fingers! 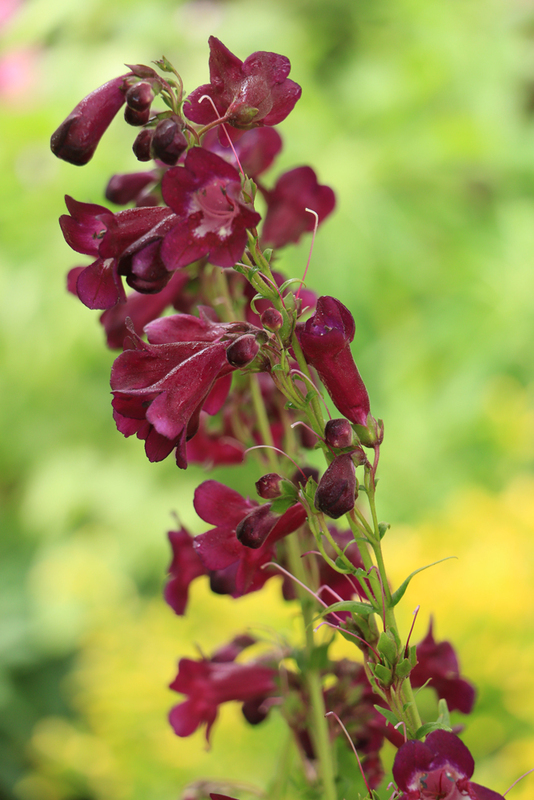 Penstemons are no exception yet they are fabulous flowers in all colours. Most varieties on our beds can have a light hair cut when they have finished flowers but do not cut them back until the spring when the new shoots come through. It can be a bit untidy over the winter but worth it. 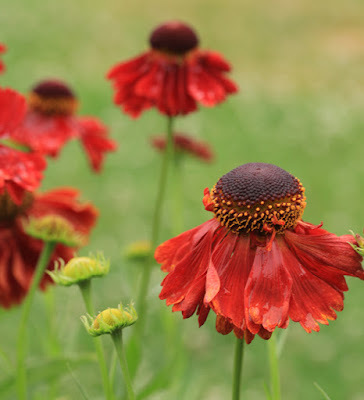 Ensure they are planted in a well drained soil and perhaps mix some grit with the soil to ensure drainage. These are lost when the roots are cold and wet. Another great plant for sun or part shade. Probably best suits mid border planting. Self supporting and and long flowering if you snip back any fading flower heads to the up and coming new shoots lower down the stem. 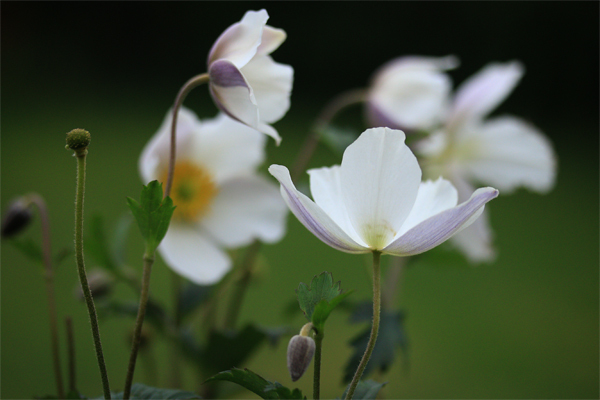 A long flowering anemone. This was one of the plants of the year at the 2011 Chelsea Flower Show. Purple backs to the pure white flowers which sit like the wings of a beautiful swan I presume. 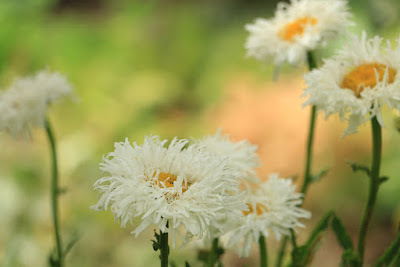 I picked this particula shasta daisy beceause I love the shaggy appearance. We also have the compact form of shasta 'Victorian Secret' which I feel was very good for cut flowers. Every garden needs daisies in there herbaceous borders with shasta or perhaps anthemis beceause its about the variety of shapes and daisies are a specific shape of their own. They contrast against tall candles such as verbascum and salvia nemorosa and the flat table heads of achillia and the froth of grassy. A great clump former, producing 60cm of colour, flowering June to September. Its not tall at 60cm so can be planted near the front of the border. This is a good pollinator and its tough. 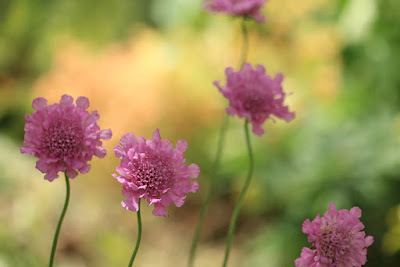 Flowering from April to November this scabious has to be a winner. Its compact standing about 30cm tall and if you dead head as the flowers finish it wil simple go on and on delighting. Above we have the perfect blues. 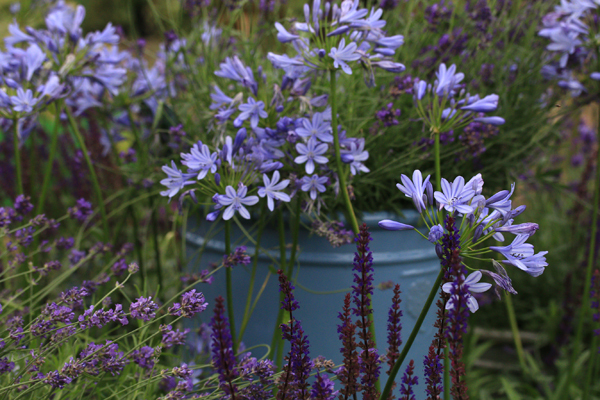 Lavender,agapanthus and Salvia nemorosa Caradonna. I love this combination. All can equally go in easy perennial containers. I have many pots of agapanthus as they thrive on neglect which is what happens to the garden of a Nursery owner who has very little time for their own garden! These all appreciation sunny positions and well drained soil. Flowers from July to October with a slight fragrance. Its the perfect mid border plant. In the Flame series we also have a pink and a purple. 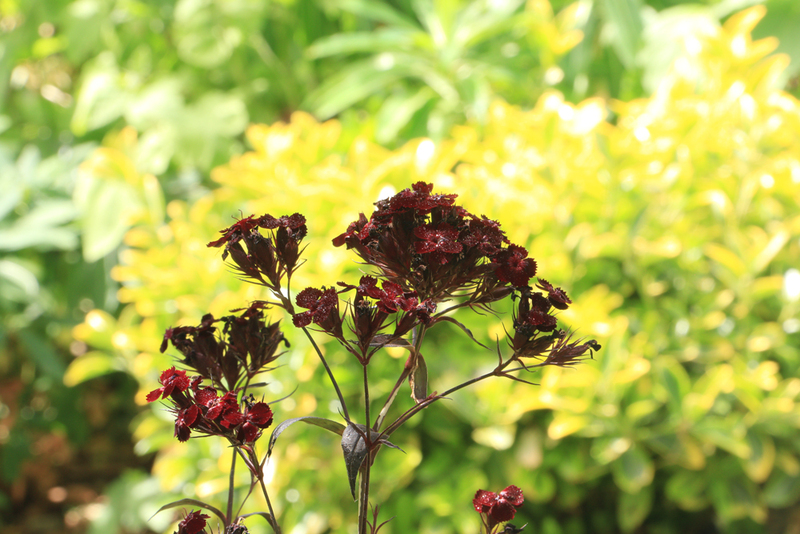 The tall (45cm) dark red velvety flowers and dark foliage make a striking contrast against paler flowers. This clump forming dianthus is something a bit different. 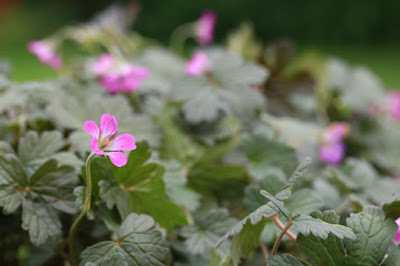 Lastly a perfect little rockery geranium for a touch of summer colour and interesting dark red foliage. We are seeing lots of the Orkney bred geraniums. Long flowering and if it gets a little tired tidy it up take back the old flowers and it should refresh itself.